Save time, frustration, and money with Extend Your Stay Tank Saver Parts Kit™. 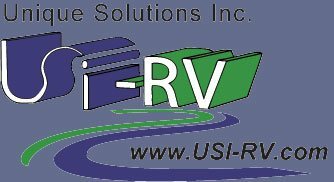 Leveraging USI-RV volume purchasing, this kit provides all the standard and hard-to-find parts needed for RV gray water recycling. Increase your Boondocking days (Dry Camp Days) through Grey Water Recycling. Why not utilize all that shower water to flush your toilet. It will reduce the levels in your gray tank and eliminate using fresh water when flushing your toilet thereby saving fresh water. It's a win-win for the environment, you, and increasing your Dry Camp Days. Many of the parts in this kit are not available in your standard hardware stores and need to be sourced from different manufacturers. USI-RV has done the leg work for you. Because we buy in volume, we are able to provide a complete parts kit, over 60 parts, at a price that rivals your discount hardware store (if they had the parts). The parts kit TSK190-PA comes with 20’ of tubing, power feed wire, and signal control wire along with all the connectors and fittings needed for a complete installation. With the USI Extend Your Stay Tank Saver™ Parts Kit the only additional component you need to have or purchase is an RV water pump. The kit has the rest and step-by-step instructions to guide you through installation. Once installed, simply turn it on and you're ready to extend your stay. Save time and money and get your USI Extend Your Stay Tank Saver™ Parts Kit today!